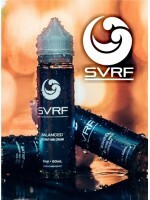 SVRF - Stimulating 60mLSucculent mixed berries merged with the enigmatic flavor of lychee fruits wit..
SVRF - Revive 60mLBlueberry and lime – it sounds simple, but SVRF Revive’s blend of flavors is as co.. The Standard 100 - Pink 100mLPink 100 - Pink Iced LemonadeThis Pink Iced Lemonade is the perfect mar.. The Standard 100 - Yellow 100mLYellow 100 - Peanut Butter CreamOne part Peanut Butter, two parts whi.. The Standard 100 - Blue 100mLBlue 100 - Summer Melon MixA delightful Summer Melon Mix of honeydew, c..
Met4 - Pacific Sangha 60mLPacific Sangha - Strawberry Milk by Met4 Vapor combines sweet strawberry w..
Met4 - Golden Ticket 60mLGolden Ticket is a rich and creamy chocolate milk flavor perfect for any ti.. THE STANDARD VAPE - Red 60mLVG/PG: 70/30Available in 0mg, 3mg, and 6mg nicotine strengths in 6.. THE STANDARD VAPE - Blue 60mLVG/PG: 70/30Available in 0mg, 3mg, and 6mg nicotine strengths in ..
Met4 Fairgrounds E-Liquid 60mLDeep Fried Cream Cake.Available in 0mg, 3mg, or 6mg nicotine leve.. THE STANDARD VAPE - White 60mLVG/PG: 70/30Available in 0mg, 3mg, and 6mg nicotine strengths in..
SVRF - Satisfying 60mLA satisfying raspberry and dragon fruit iced tea will hit the sweet spot every..
SVRF - Refreshing 60mLA perfect pick-me-up, blending papaya, mango, and cantaloupe for an exotic and..
SVRF - Balanced 60mLA smooth blend of coconut and a mixture of creams for a tasty, all-day vape.VG/P..